The fifth episode of season six saw us lose another favourite character. 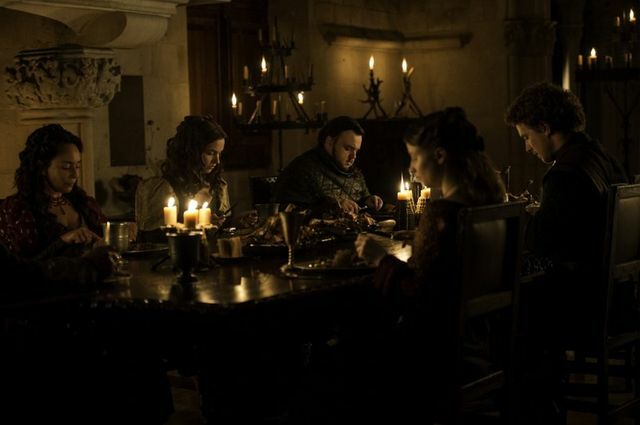 We mentioned our predictions for the sixth episode in our Blood of My Blood preview. The wights were closing in fast and Meera couldn’t go on. Bran suddenly came back to her to tell her that they’d been found and Meera apologised. It wasn’t looking good for the pair until they were saved by a hooded man. 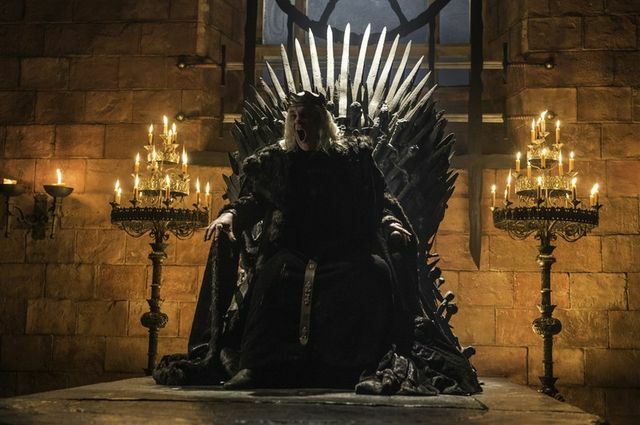 Sadly it wasn’t a still alive Hodor who showed up but instead Bran’s uncle Benjen Stark! (Joseph Mawle) He was last seen in season one heading North with a rangers party and was presumed dead. He came to Bran’s aid on horseback and destroyed a bunch of wights with his fiery weapons. He then took Bran and Meera away to safety where he sorted out some rabbits for supper. He told them that the Three-Eyed Raven had sent for him, referring to Bran. He looked a little pale but that’s because he’d been stabbed years ago by a White Walker. However he hadn’t died because the Children of the Forest had saved him with Dragonglass through his heart. Bran told him he wasn’t ready to be the Raven. He told Bran that he needed to learn to control his powers before the Night’s King came and that when he did he would be ready. 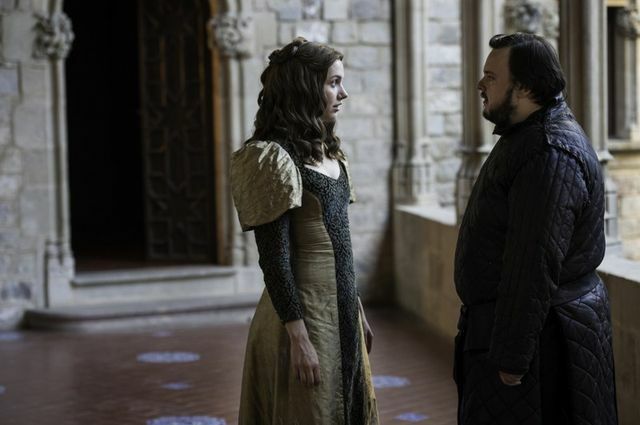 At Horn Hill, Sam (John Bradley-West) and Gilly (Hannah Murray) were on their way to meet the Tarwell family. Looking out of their carriage, Gilly commented on how green everything was and a nervous Sam told her about the types of trees. He reminded Gilly to say that Little Sam was his son and she realised that he hadn’t told his family she was a Wildling. Apparently Sam’s father doesn’t like Wildlings, or Sam. Arriving home they were warmly greeted by Sam’s mother Melessa (Samantha Spiro) and his sister Talla (Rebecca Benson). His father and brother were out hunting and would join them at dinner. Talla told Gilly she would lend her one of her dresses. 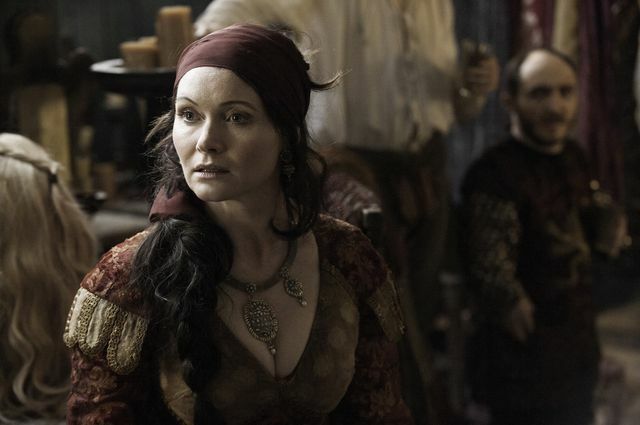 Gilly had a full make-over and looked completely different. Sam thought she looked beautiful but she complained that her new clothes and shoes were hard to walk in. The atmosphere at dinner with Sam’s father Randyll (James Faulkner) was incredibly awkward. Sam tried to break the silence by commenting on the tasty venison. 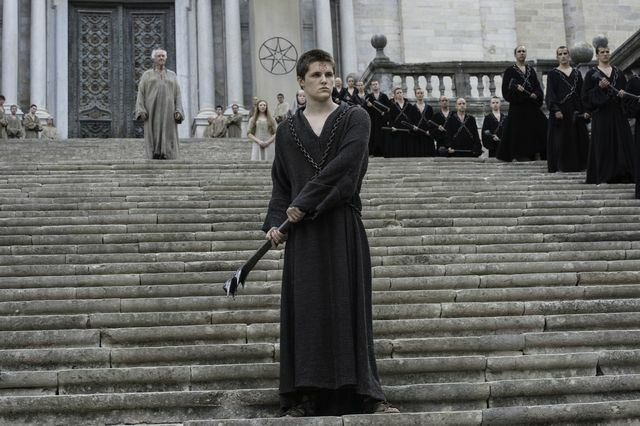 His brother Dickon (Freddie Stroma) boasted how he killed it the previous week with a 70 yard shot. Sam said they hunted rabbits and squirrel at the Wall and that Gilly was a good hunter too. His mother offered him more bread which he accepted until his father asked if he wasn’t fat enough already. He then complained at what a disappointment of a man Sam was. Gilly stood up for Sam and told his father that Sam was a greater warrior than he’d ever be. She told how Sam had killed both a Thenn and a White Walker beyond the Wall. Randyll realised that Gilly was a Wildling and Sam went very quiet unable to stand up to his father. Randyll pointed at Heartsbane, his Valyrian Steel sword, mounted on the wall which his family had used to kill Wildlings for 500 years. He told Sam he had dishonored himself and that it would be the last night he would ever spend at Horn Hill. Later Sam said his goodbyes to Gilly and left. Before storming back in and telling her that they belonged together and would be leaving. On the way out Sam decided he’d take his father’s sword with him. 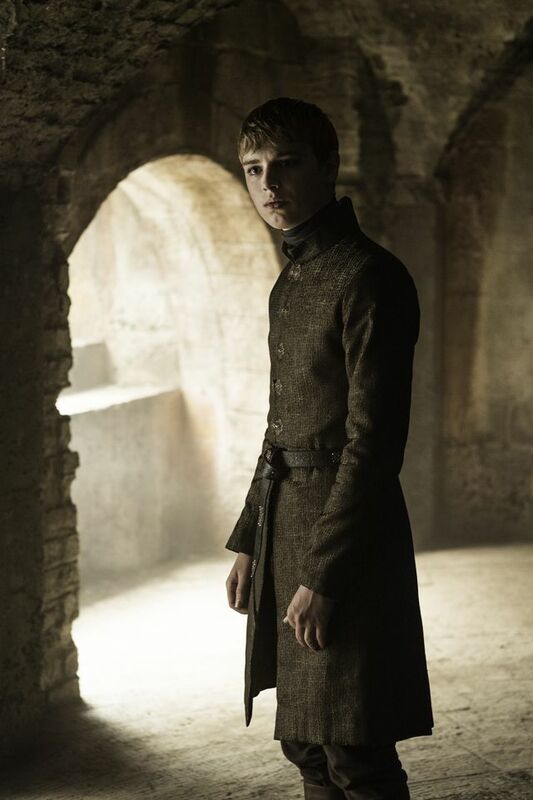 In King’s Landing, Tommen (Dean-Charles Chapman) met with the High Sparrow (Jonathon Pryce) who allowed him to see Queen Margaery (Natalie Dormer). She appeared brainwashed by the High Sparrow and talked of things being better. 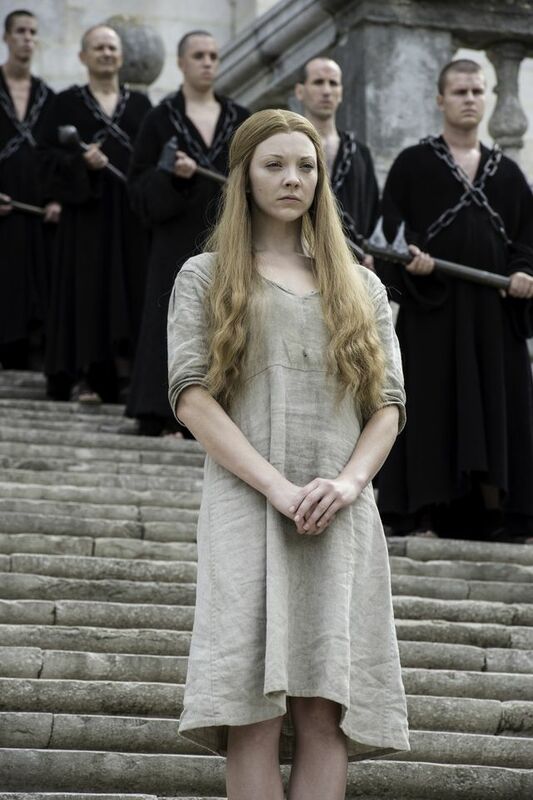 Margaery also seemed happy enough about her impending Walk of Atonement. It’s hard to know if she means it or is just trying to get away. 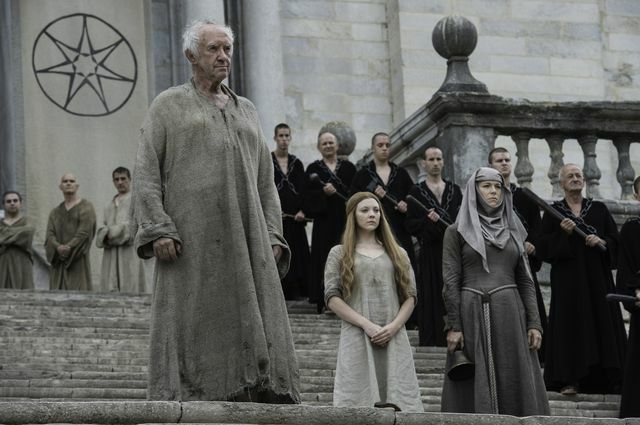 Later the High Sparrow has her stood outside on the steps as he addresses the people. 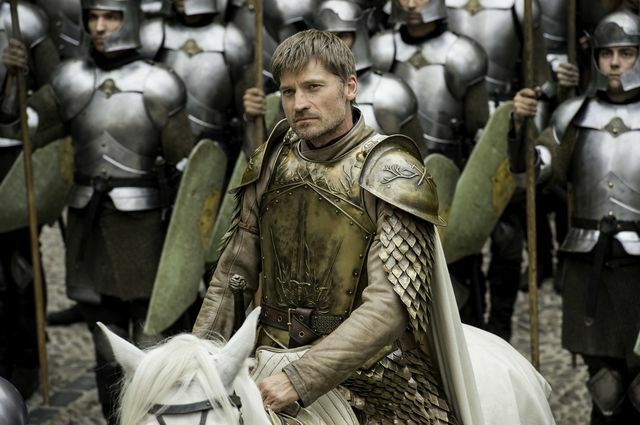 Before her walk began, Jaime Lannister (Nikolaj Coster-Waldau) rode up with Mace Tyrell (Roger Ashton-Griffiths)followed by Olenna (Diana Rigg) and the Tyrell army. 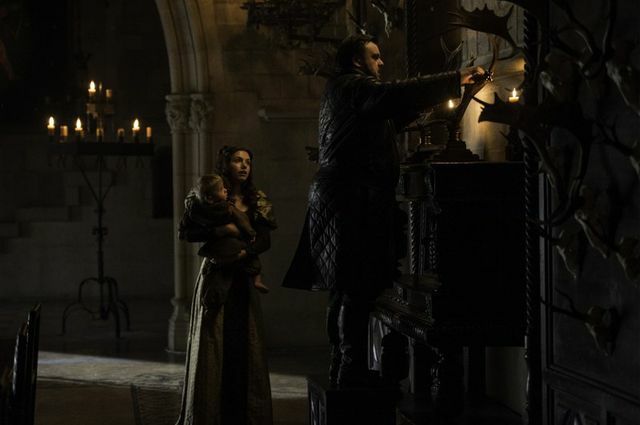 The High Sparrow explained that Margaery had disgraced herself, her house and her king. Jaime rode up the steps and threatened to kill every last Sparrow. 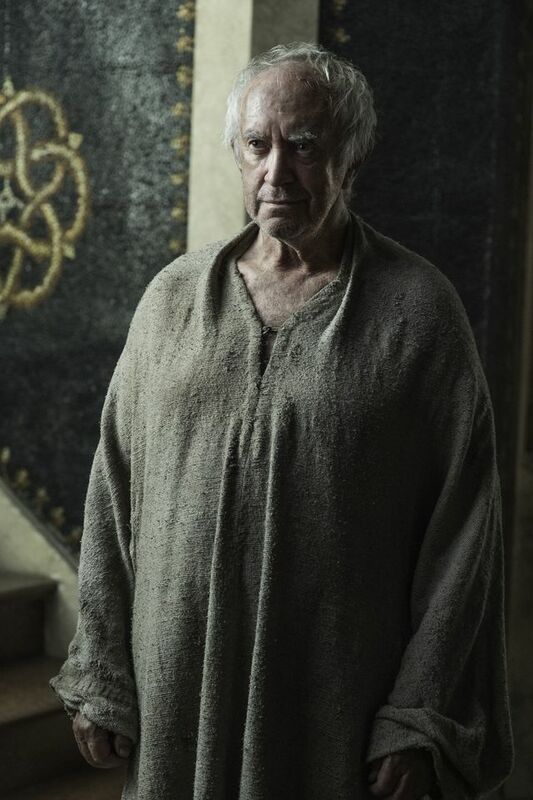 The High Sparrow said they yearned for death but there was no call for it today as there would be no walk. 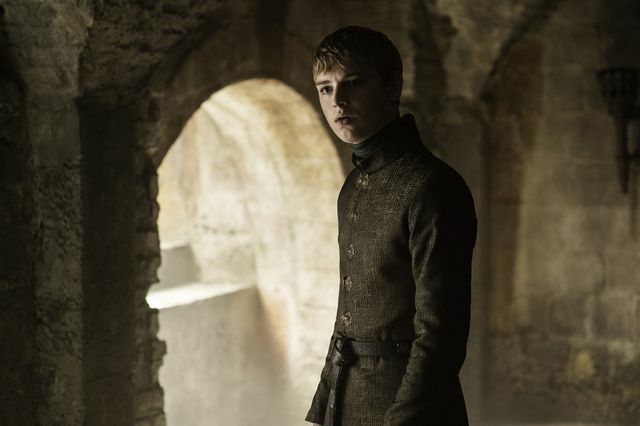 We were expecting a bloodbath but suddenly Tommen walked out and betrayed his family. He’d made a deal between the Crown and the Faith. 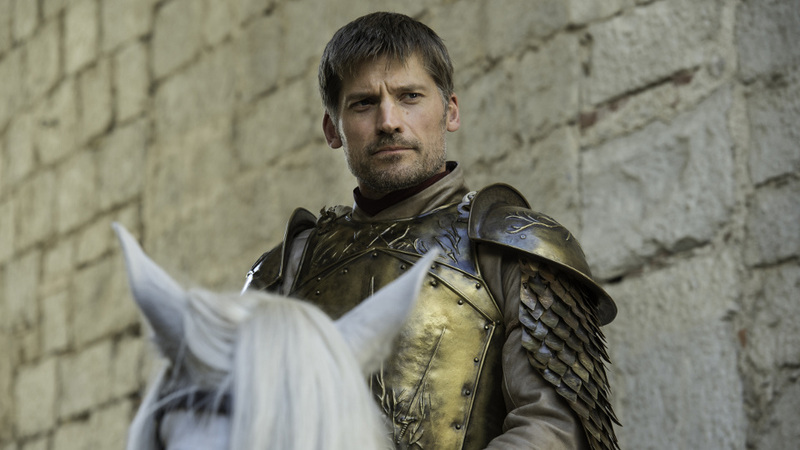 He gave a short speech and the people seemed to like it, unlike Jaime and Olenna. 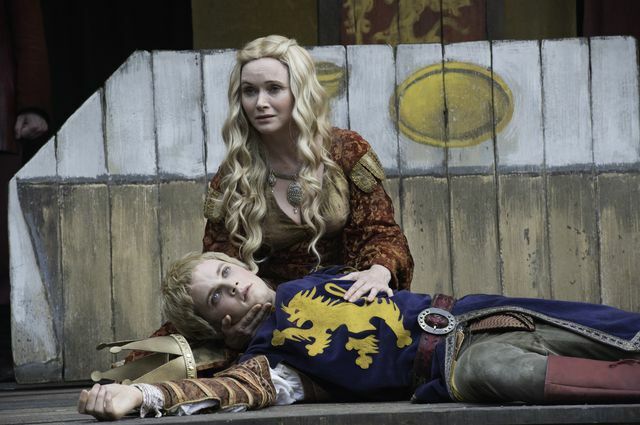 Afterwards Tommen banished Jaime from the city. 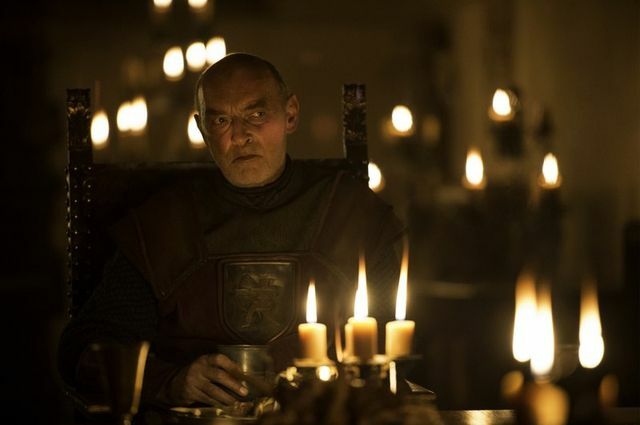 He told Cersei he would kill the High Sparrow but she advised him to do what was asked of him for now. 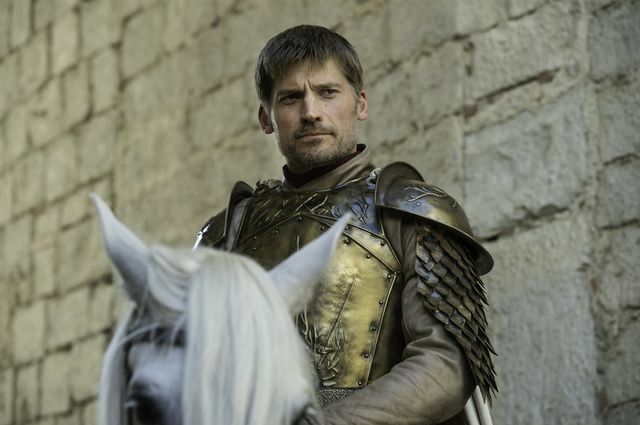 Jaime was to be sent to take back Riverrun from the Blackfish, Brynden Tully. Cersei also mentioned her Trial by Combat was coming and that she has the Mountain. Elsewhere we finally saw the return of Walder Frey (David Bradley). He was annoyed at his sons for losing Riverrun to Brynden and told them to take it back. To help he gave them Edmure Tully (Tobias Menzies) to use as a bargaining chip. 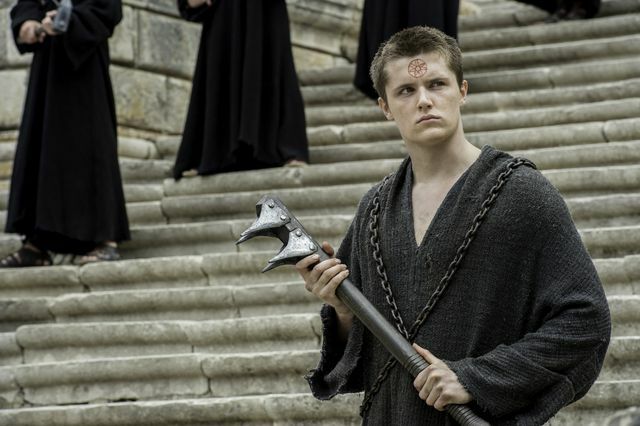 If the Tully’s refused they could kill him in front of them, Red Wedding style. 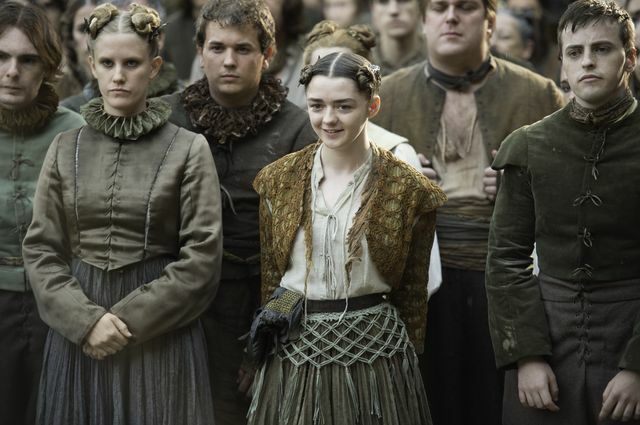 In Braavos, Arya Stark (Maisie Williams) was watching the theatre play for the third time. They were acting out the scene of Joffrey’s death much to Arya’s amusement. Afterwards she sneaked backstage and put her poison in Lady Crane’s rum. On her way out she was spotted by Lady Crane who took her for a fan. They spoke and Arya gave her some tips on how to improve the play. She commented on Arya’s expressive eyes and asked if she liked to be other people. Before she drank the poison Arya rushed in and knocked it out of her hand. 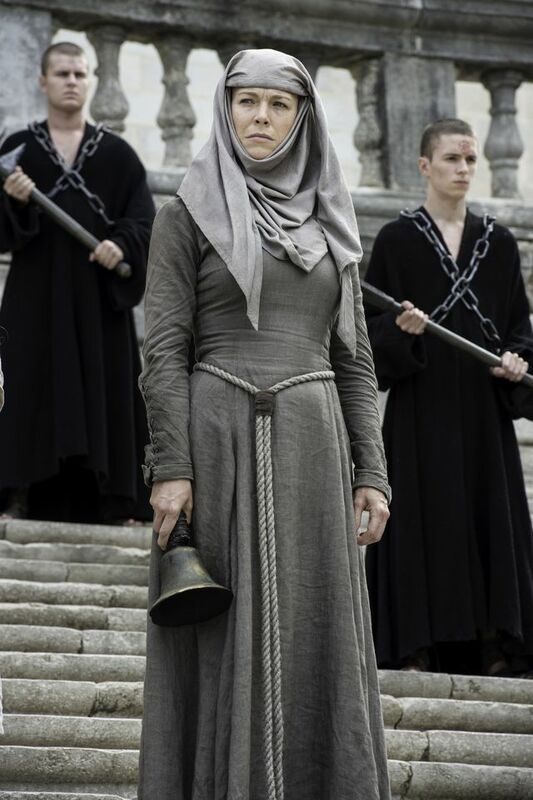 The Waif (Faye Marsay) was watching and reported her failure to Jaqen H’ghar (Tom Wlaschiha). He told her not to let Arya suffer. Meanwhile Arya had been off to retrieve her sword Needle from its hiding place. As she retired for the night she tucked Needle in with her, presumably expecting an attempt on her life. 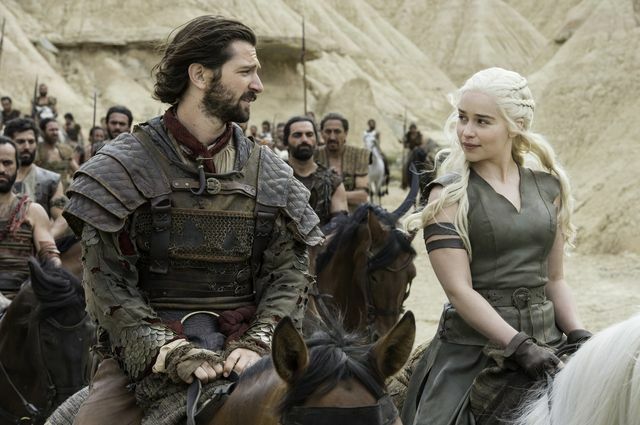 The episode ended across the Narrow Sea with Daenerys (Emilia Clarke) who was riding with Daario (Michiel Huisman) and her Khalasar to Meereen. 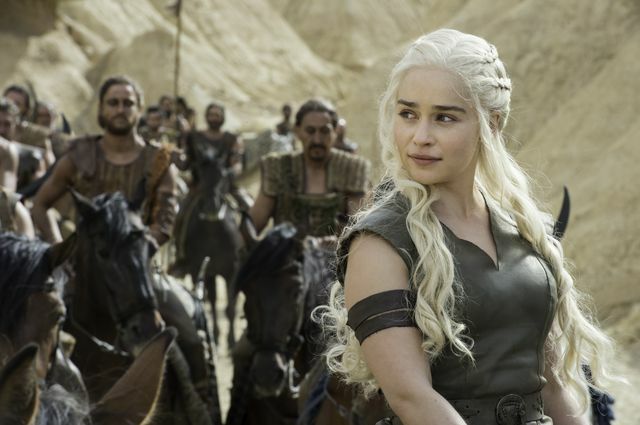 Daario told her it would take a week and that she would need a thousand ships to take her army to Westeros. Dany told him to wait and rode out of sight. 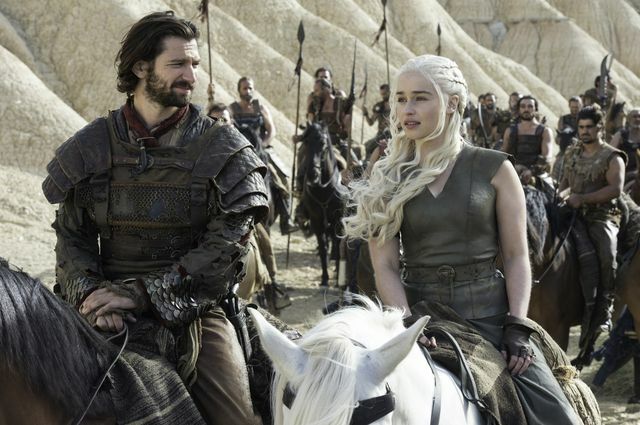 As Daario was going to look for her she returned atop her dragon Drogon. It was an impressive sight that inspired her Khalasar. She landed Drogon in front of them and gave a rousing speech. If she manages to get across to Westeros it’s hard to see who will be able to stand in her way. Let us know your thoughts on Blood of My Blood in the comments below as well as your hopes for the rest of the season. Already looking forward to the next episode? Read our preview of Episode 7 ‘The Broken Man’. wow, sounds bland, a filler episode ?